The insurance company MORE TH>N has launched a dog subscription box, MORE TH>N DOGGYSSENTI>LS, which it say will deliver all the essentials your dog needs to your door every month. We’ve teamed up with MORE TH>N to offer our members the two months of DOGGYSSENTI>LS absolutely free. Just join our group to receive the deal. The subscription has five price levels between £50 and £100 a month depending on your dog’s size. For many people, this is good value because the cost of pet insurance can be expensive by itself. Your insurance will not be activated straight away. MORE TH>N will call to arrange and activate your insurance. Moreover, the subscription service works on a monthly rolling basis, so you don’t have to commit to any amount of time and you can cancel the subscription at any point (even after the first two months). If you do this, your insurance will also be cancelled. The box includes treats from either Lily’s Kitchen or Pooch & Mutt, Beco biodegradable waste bags, Pedigree dental chews, and an alternating toy from either Rosewood or Beco and an accessory from Rosewood. You can pick which food brand you want from Akela, Applaws, Eukanuba, Hill’s, IAMS, James Wellbeloved, Purina and the RSPCA. Their preventative treatments are from RSPCA. MORE TH>N DOGGYSSENTI>LS also includes Whistle, a pet activity tracker. The device fits to your dog’s collar and measures your dog’s activity while it walks, plays, runs and rests. The data feeds to an app on your phone and gives you daily, weekly and monthly exercise and sleep patterns. This means you can learn about your dog’s behaviour to make sure they’re getting the right amount of exercise. MORE TH>N DOGGYSSENTI>LS is different to other dog subscription boxes because it includes pet insurance as well as toys and edible items. Most of the other pet subscription boxes on the market are either mixed boxes, which contain treats, toys and accessories, or dedicated food boxes, which make sure your pet is getting all the food it needs each month. Few include all the essentials your dog needs. Check out our guide to the best dog subscription boxes to see how MORE TH>N DOGGYSSENTI>LS compares. All of MORE TH>N’s policies include accidental damage and third-party liability for dogs. Premier also includes cover for death from accident or illness, lost and found, and pets abroad, along with up to £4,000 of vet fees. 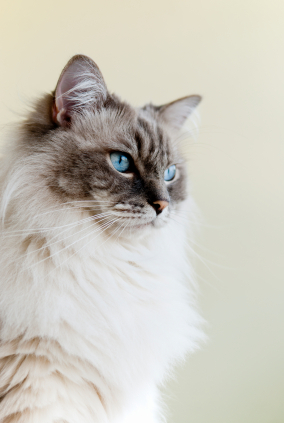 Read a review of MORE TH>N's pet insurance here. 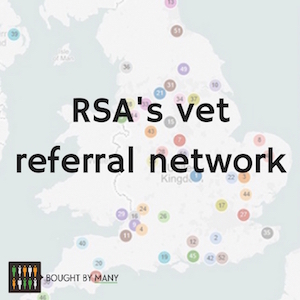 MORE TH>N is signed up to RSA's vet referral scheme, which means you can only use certain vets for non-emergency referral treatments and if you decide not to you'll have to pay a £200 charge. Find out more about the scheme here. MORE TH>N’s pet insurance is underwritten by RSA. You can get a quote for MORE TH>N’s pet insurance here, or join our group to get up to 28% off. MORE TH>N scores 2.5 out of 5 based on 82 reviews on Reviewcentre.com. On Reviews.co.uk it scores 4.44 stars out of 5 based on 123 reviews. Independent financial researcher Defaqto has rated MORE TH>N’s Premier Lifetime Pet Insurance as 5 Star. Get the first two months of your MORE TH>N DOGGYSSENTI>LS subscription box absolutely free by joining our group, or get a quote for MORE TH>N's pet insurance here.